High quality rubber elastic bandage with convenient Velcro self-closure, eliminating the need for clips or tape. 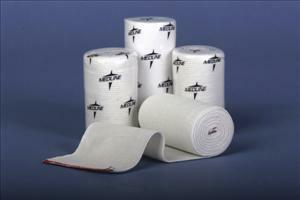 Cotton/polyester knit construction, ideal for high compression treatment on a variety of conditions. Non-Sterile, white.